Healthcare is one of the industries being disrupted and accelerated most rapidly by AI. 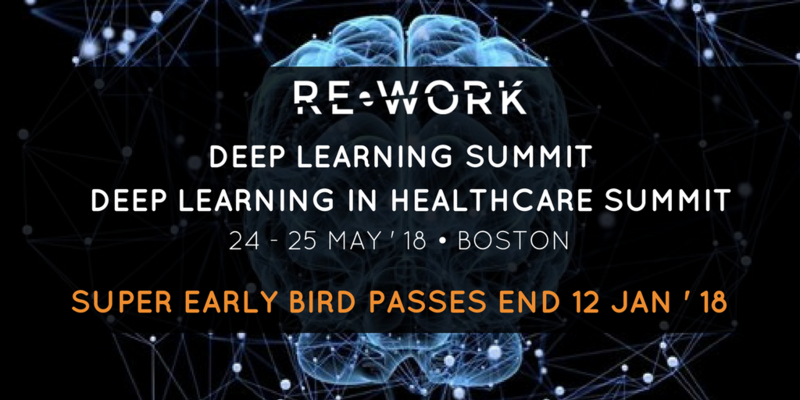 Alongside the Deep Learning Summit in Boston this May 24 - 25 will be the Deep Learning in Healthcare Summit, where we will explore the deep learning tools & techniques set to revolutionise healthcare applications, medicine & diagnostics. Super Early Bird discounted passes for both summits are on sale until this Friday January 12, so register now to guarantee your place at a reduced rate. With speakers from the likes of Google Brain, Philips Research, Accenture, NASA and more, we’re taking a look at some of the exciting guests announced to present their research and applications. The Deep Learning Summit will focus on smart artificial intelligence revolution. Explore software that can recognize patterns in digital representations of sounds, images, & data. Many mainstream products and platforms that we take for granted use deep learning to improve user experience from search results to recommendations and timeline ranking. Jenshua Bratman, Staff Software Engineer at Twitter Cortex will be discussing his work in deep user-history aggregation and its application to timeline rankings on Twitter. Traditionally, ‘a representation of a Twitter user might include features that summarizes the past Tweets with which they engaged’, however Twitter have just challenged this with a DL approach. Jenshua and his team have modeled Tweet engagement using historical user events which has directly resulted in better performance on the Timelines Rankings. Throughout the presentation, we will hear how the research has wide-ranging implications for how we extract signal from large-scale event data, providing better predictive performance and lower feature engineering overhead. 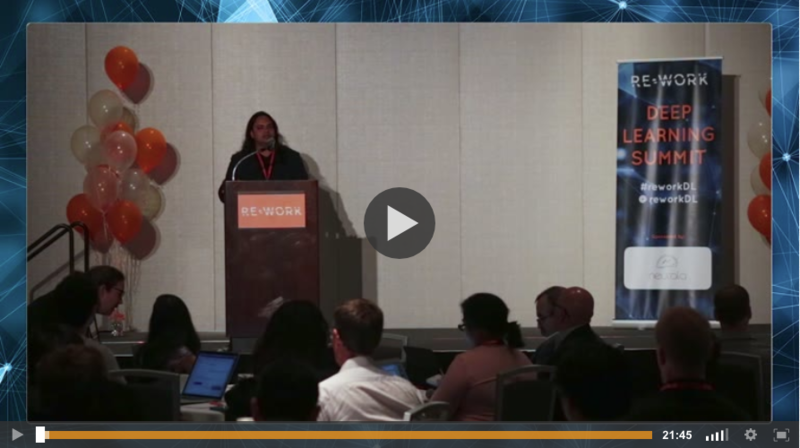 Over on at the Deep Learning in Healthcare Summit, Cory McLean, Senior Software Engineer at Google Brain will discuss the progressions that have been made in DL for improved image recognition. In his presentation, ‘DeepVariant: Highly Accurate Genomes With Deep Neural Networks’, Cory will discuss using a deep convolutional neural network to detect genetic variation in aligned next-generation sequencing human read data. Their method, called DeepVariant, both outperforms existing genotyping tools and generalizes across genome builds, sample preparations, and sequencing instruments. Cory’s research centralises around the development and application of machine learning methods to genomics and the biology of human health. Register now to guarantee your place at the summit!